My three children are big fans of the popular children’s television show, Dino Dan. Therefore, they were very excited to have the opportunity to watch five brand new dinosaur themed episodes in the new DVD title, Dino Dan: Tyrannosaurus Trek. This exciting adventure series continues with episodes that have never before been aired in the U.S. and it is a great way for young children to learn about how the dinosaurs lived in the prehistoric era through the imagination of a young boy named, Trek who is Dino Dan’s little brother. This DVD series highlights lots of “awesome” dinosaurs such as the Albertosaurus, Triceratops, Pterodactylus, Euoplocephalus and of course the mighty, T-rex. The five stories in this DVD compilation are Team Dino, Use Your Dino Senses, Dino Climbers, Tyrannosaurus Trek and Trekoodon. In the featured show, Tyrannosaurus Trek, favorite characters are included such Dino Dan and his brother Trek who team up with their Grandma to create a comic book that features a caveman superhero who tries to save all the dinosaurs when a massive volcano erupts. This episode along with the other four on this DVD are entertaining and held the interest of my three children. One of the reasons my kids really enjoy watching this show is that it encourages them to use their imaginations. After watching Dino Dan they will inevitably make up their own fun role playing dinosaur adventures. It is a wholesome show that I find age appropriate for my six, seven and eight year olds to enjoy and something the adults will not dread watching along with them. There is also a unique new 3D dinosaur which can be scanned using a free app so young dinosaur fans can see a massive Gigantosaurus come to life…..they thought this feature is “really neat”. Dino Dan: Tyrannosaurus Trek on DVD is now available for purchase for the SRP of $12.99. 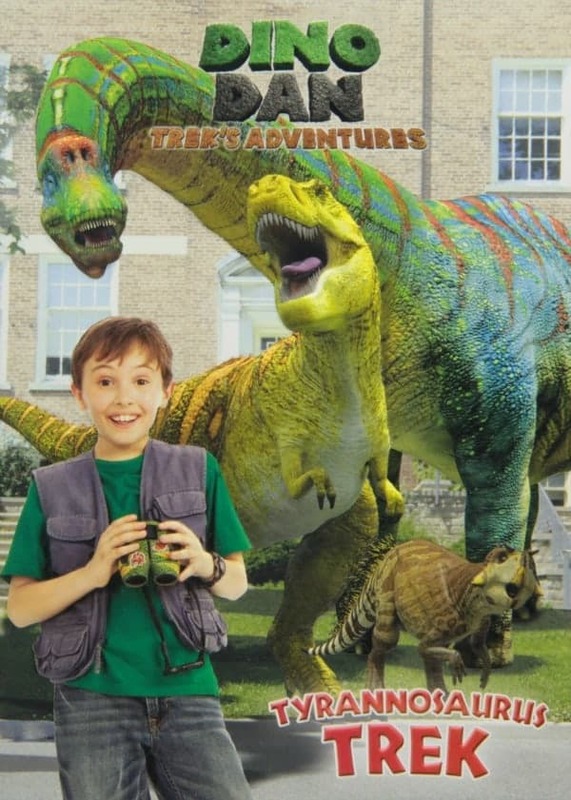 If you have a child who loves dinosaurs then I highly recommend considering purchasing this exciting, creative adventure compilation on DVD! You are invited to visit NCircle Entertainment to learn more about this title and browse all of the high quality children’s entertainment DVDs.